Style: PROV1PROV1X Quantity: 123456789 This item is currently out of stock! 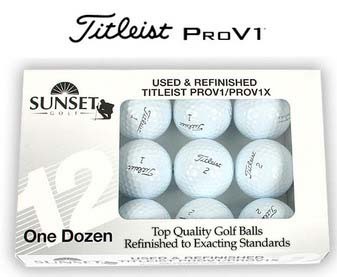 1 Dozen Titleist PROV1 or PROV1X Factory Refinished this is not a XOUT Or Waterball. They are Brand New in box Sealed DZ.